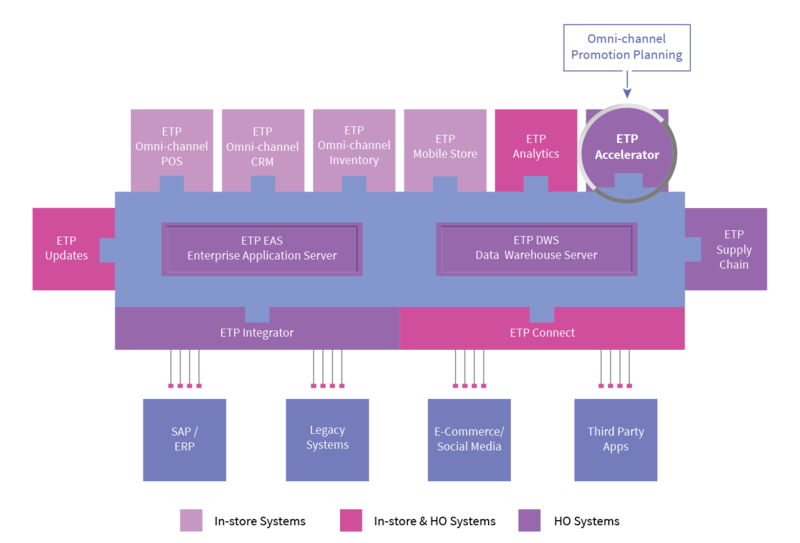 ETP Accelerator is an omni-channel promotions management solution that is developed to help retailers plan, execute, and monitor retail marketing promotions and deploy them quickly accordingly across the various channels online and offline. Promotions in ETP Accelerator can also be deployed across social media platforms instantly as campaigns. The solution is equipped with an intuitive dashboard that enables retailers to stay abreast of the customer response to their promotions against various goals and targets set for each promotion.